Gaze at a painting for long enough, and you may notice details that you didn’t see right away: light, movement, and texture. This happens with research data, too. 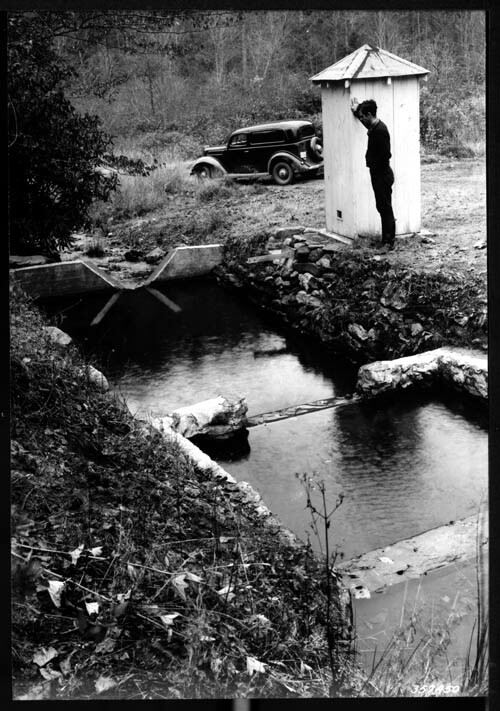 Researchers measure water yield at Coweeta’s Watershed 7 weir in 1937. USFS photo. 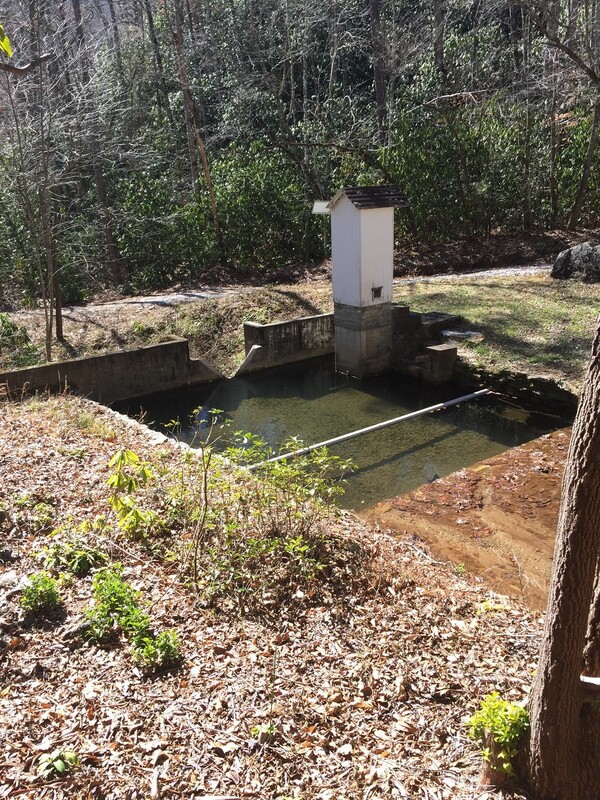 A new paper revisits one of Coweeta Hydrologic Lab’s longest-running ecological experiments — one that brings together forty years of data collected from Big Hurricane Creek, or Watershed 7 — and discusses unexpected insights. The paper was led by C. Rhett Jackson, hydrology professor at the University of Georgia, and, in addition to Knoepp, included Coweeta research ecologist Katherine Elliott, research hydrologist Peter Caldwell, and project leader Chelcy Miniat. In 1971, the original research team — led by Wayne Swank — began collecting weekly water chemistry samples at Coweeta. At that time, they began a paired watershed experiment with Watersheds 7 and 2. After monitoring conditions in the two watersheds for a number of years, Watershed 7 was clearcut. Their central research questions focused on the magnitude of ecosystem changes and the timeline for the ecosystem to return to its pre-harvest state. The scientists have been monitoring changes in streamflow, stream nitrogen concentrations, soil conditions, forest tree species, and other environmental variables across the two watersheds. The researchers have published numerous papers and a book on the long-term experiment. 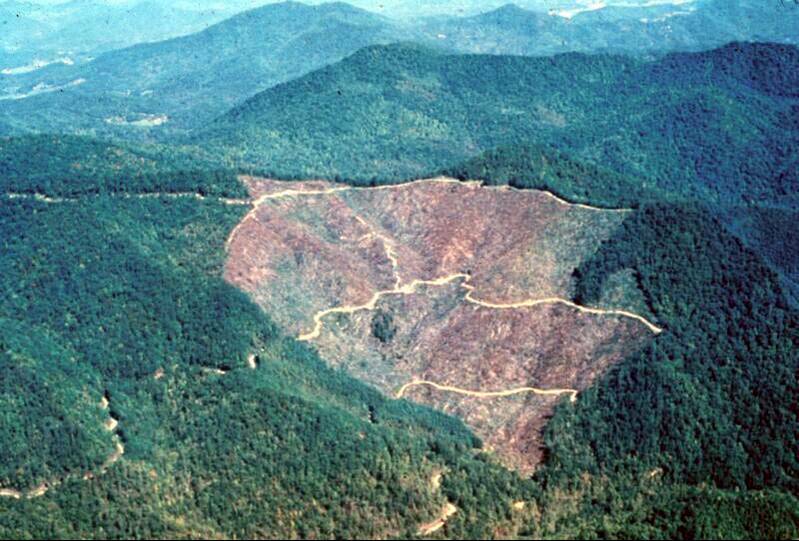 Aerial view of Watershed 7 after the 1977 clearcut harvest. USFS photo. The current paper, published in Wiley Interdisciplinary Reviews: Water, revisited this experiment and highlighted some findings from the long-term dataset. The scientists discussed how, often, the data supported hypotheses about large-scale disturbance and its effects on the watershed — but sometimes they didn’t. Water yield from forests typically returns to pre-treatment levels within a decade or so. But streamflow in Watershed 7 was still lower than expected more than 30 years post-harvest. “We are still seeing the effects of that harvest disturbance – in both forest species composition and annual water yield – some forty years later,” notes Knoepp. While oaks and hickories have declined, the watershed has more tulip poplar and red maple today – as well as several stands of black locust. This tree species fixes atmospheric nitrogen and contributes that new nitrogen to the forest. Along with shifts in species composition, the researchers have measured elevated stream nitrogen concentrations in the Watershed 7. Streamflow and other data collected in Watershed 7 continue to generate valuable research questions about forest ecosystems. Photo by Peter Caldwell, USFS. Over the course of the experiment, natural disturbances like insect outbreaks and drought have also impacted the number, age, and size of trees in the watershed. Scientists are inquisitive, and the long-term data have inspired new research questions. What is elevating nitrogen levels and when will it stop? Will oaks regenerate in small openings and work their way back into the canopy? How might persistent changes in streamflow and water chemistry affect macroinvertebrate communities? “For every answer that we reach, we end up with at least ten more questions,” adds Knoepp. And that’s a good thing. For nearly a half-century, Coweeta research has advanced our understanding of how disturbance — either natural or human-caused — affects forest watershed ecosystems. Forests are long-lived ecosystems. Looking at any single disturbance event or examining any one decade of data doesn’t capture the linked system of spatial and temporal dynamics. It paints an incomplete picture. For more information, email Jennifer Knoepp at jknoepp@fs.fed.us.